Oh, Alfa Romeo. You seem to be having quite the resurgence, don’t you? The days of rebadged, woeful Fiats seem to be fading away. Instead you’re churning out your own stuff like the ‘old days’ that someone who has likely never driven an old Alfa seems to prattle on about ad nauseam. 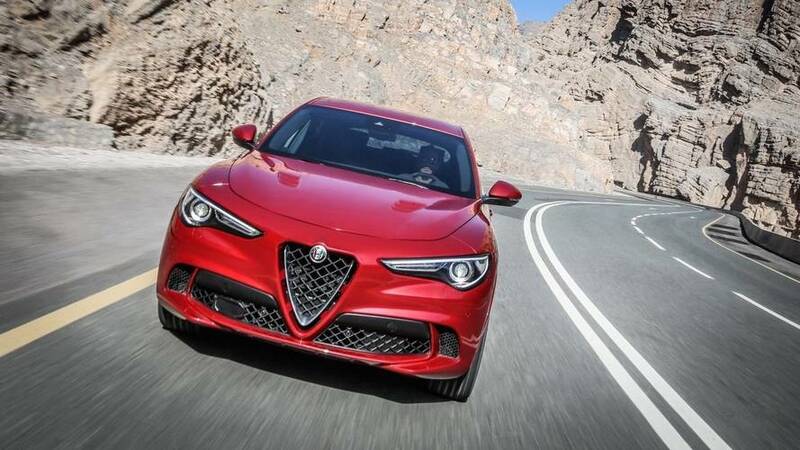 The Giulia saloon is pretty good. The 4C sports car is very pretty if MASSIVELY flawed. 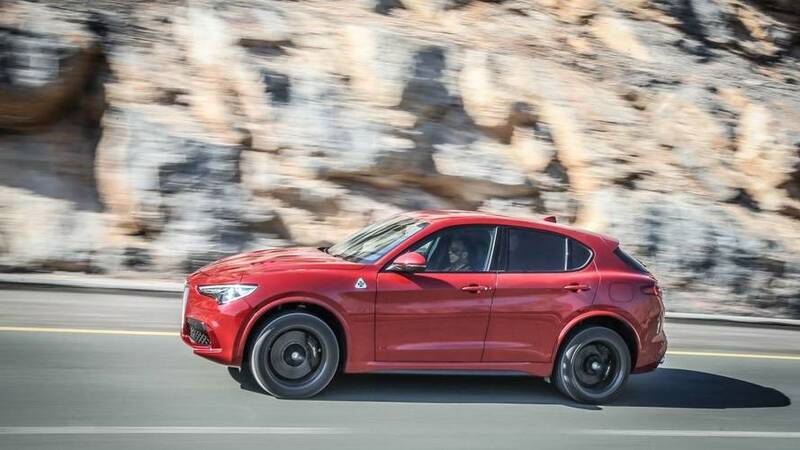 Finally, the Stelvio SUV has found fans the world over – it’s pretty, does the whole ‘space’ thing acceptably, and is a bit different from the norm. So far, Alfa’s not doing badly. While it has a regular line up of ‘not like the old days’ petrol and diesel engines for mortals to buy, it also has a wonderful (and definitely not made by Ferrari, no sir) 2.9-litre turbocharged V6. Said motor lives in the hot Quadrifoglio version of the Giulia saloon, which is a BMW M3 baiting riot. 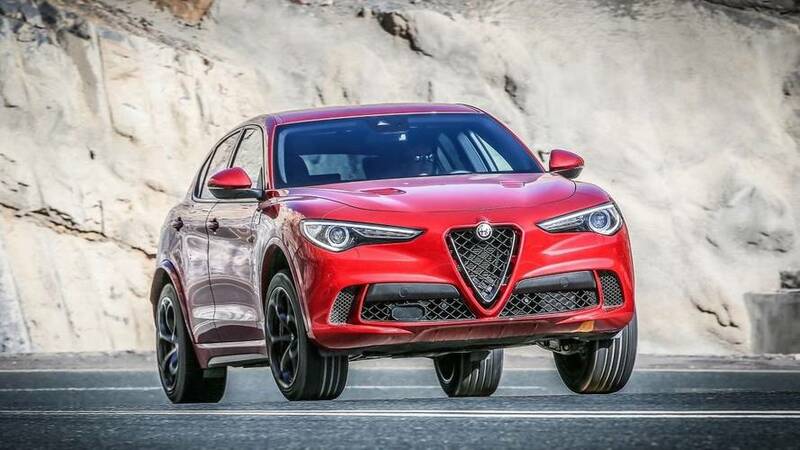 Now, the Stelvio SUV is a fine looking thing that drives well and could do with a bit more punch to it, so why not sling the V6 in there and see what happens? The Porsche Macan Turbo needs more competition, surely, and a 503bhp Italian SUV can’t be a bad thing in the grand scheme. Can it? No bones about it, the Stelvio is a pretty thing. It’s got vents in all the right places, swishes and swoops where you’d hope they’d be, and four massive exhausts tucked up its bottom. 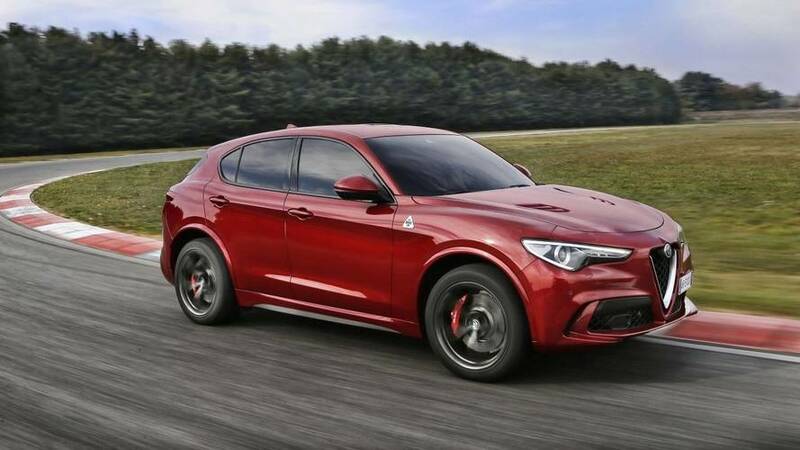 The thing that’ll draw the eye most, though, is the Quadrifoglio badge on the car’s flanks. The four-leaf clover denotes the fastest, silliest, most unhinged Alfas – think of that badge as a floral ‘M’ on the back of a BMW and you’re about there. It’s also quite large. No amount of swoopy styling and vents can hide the fact. A Porsche Macan, for example, looks rather small in comparison. The Alfa is tall and wide, but certainly exciting to look at. Inside is similarly design heavy. The infotainment screen is buried into the minimalist dash and the controls are few in number but easy enough to use. That said, the infotainment system is fairly woeful. While the cabin is neatly designed there are some nasty plastics dotted around, which takes the shine off it somewhat. There are some lovely leather/Alcantara patches in there as well, but much like a Jaguar F-Type, the plastics stand out a little too much to make it feel truly special. 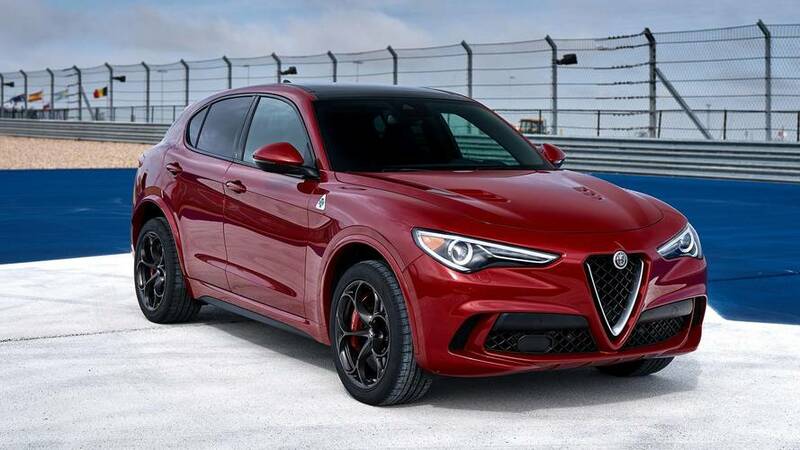 No SUV should sound like the Stelvio Quadrifoglio. It’s loud, shouty, and makes noises like an old racing car. This is not a bad thing, but it won’t half irritate the neighbours. That said, they get to hear it on a cold start every day, which is truly a wonderful noise. Once you’ve finished ticking the gas to make it sing, pop it into drive and head on about your day. You’ll have plenty of fun simply bumbling around because of its pops, crackles, and savage acceleration of 0-62mph in less than four seconds. Floor it from a standstill and you’re pushed back in your seat, as you’d expect from 503bhp and 443lb ft. But unlike other high riding cars that typically mask the speed you're carrying (BMW X5 and X6 M, we're looking at you) you really feel the speed it's serving up. In something so tall, so heavy, you’d never expect it to feel so brisk. There are a few driving modes to play with thanks to Alfa’s ‘DNA’ switch. 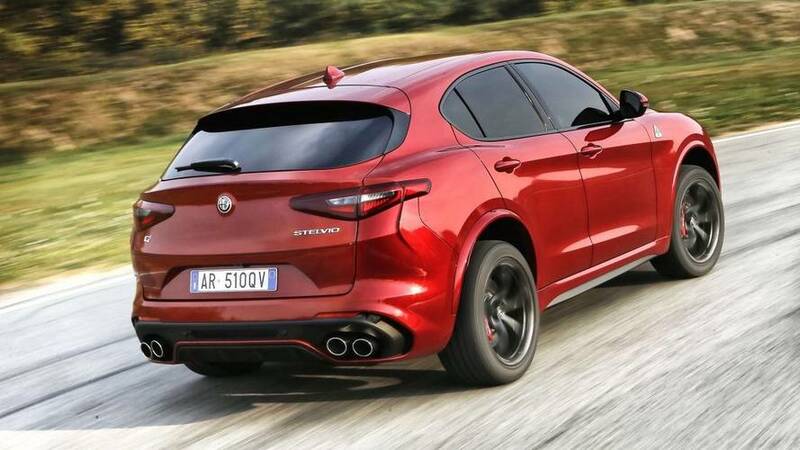 ‘A’ is for all weather and is dull but may save you in nasty climes, ‘N’ is for Normal and makes the Stelvio feel like any other SUV, ‘D’ is for Dynamic and is for the drivers. It gets louder, sharper, and is just damn good fun. 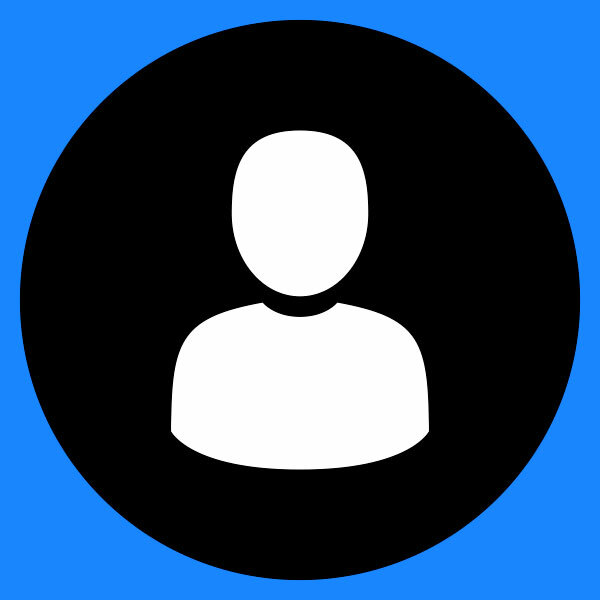 If you happen to find yourself on a track you can flick the switch one step further and enter Race mode. Race turns all the electronic aids off and leaves you alone with the car. And it is fantastic. The car’s all-wheel drive setup keeps the power streaming to the rear as long as possible to keep a pure rear-wheel drive feel that buyers say they want and can rarely tell they’ve got. This means that in theory it should feel like a lithe sports car. It doesn’t, but that’s because with all the clever suspension and damping tune-ups in the world you can’t disguise that fact that it rides high and weighs over 1800kgs. So sure, it leans a touch under hard cornering, but that’s no bad thing for a car of its type. With its rear bias you’d expect it to be a touch skiddy with everything turned off and the right hands at the wheel. It can be, but sometimes it decides that it needs power all over the shop to counteract the lack of grip so it shimmies a little bit before sorting you out. You can, sometimes, slide it like a hero though. Some people will like that. The power on offer ensures that you can fling it from corner to corner and feel like something of a hero, and in the bends it’s a good giggle. Okay, it can be slightly unpredictable at times, which is less than ideal, but if you’re after an entertaining drive in an SUV body you can be sure that nothing Germany pumps out will be remotely as much flamboyant fun. 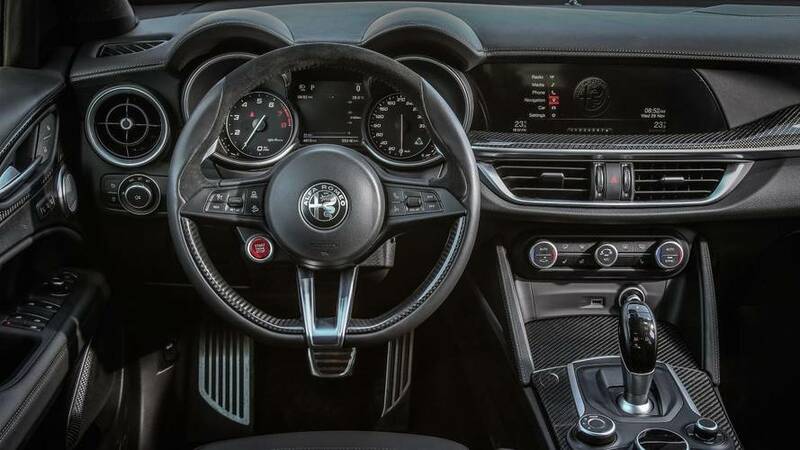 You can’t see out of the back, it can be twitchy, the infotainment is bobbins, there are some pretty nasty plastics inside, and if it keeps up Alfa’s rep you’ll spend a bit of time on the phone to the AA. But it’s hilarious fun and a break from the oh-so-competent, almost too polished norm. It’s the kind of car you’d buy but not possibly not recommend to your friends. Probably to keep the secret of its sheer silliness and delight to yourself.